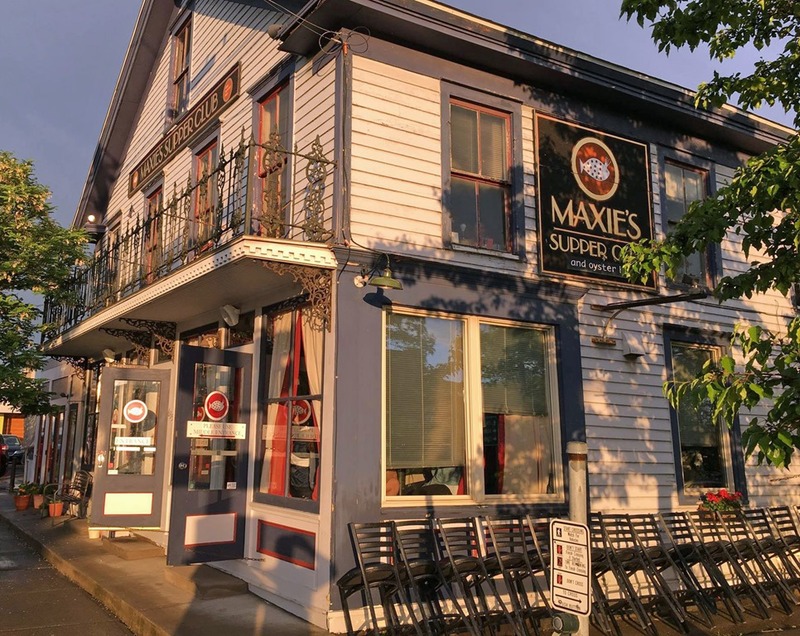 Maxie’s is hard to miss. It’s in a large converted single family home at the corner of S. Fulton St. and W. State St. I started with an awesome Crab and Corn Chowder. 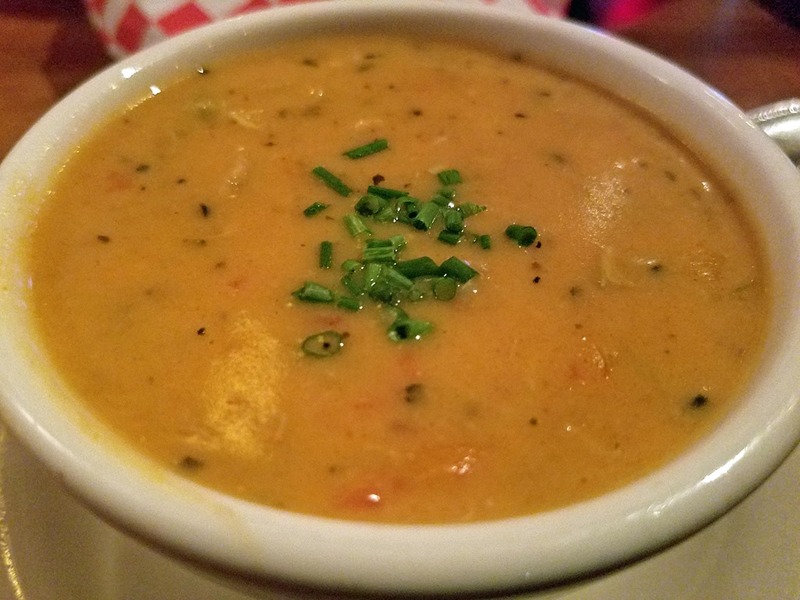 With the large chunks of crab it was flavorful and the perfect consistency of a classic chowder. 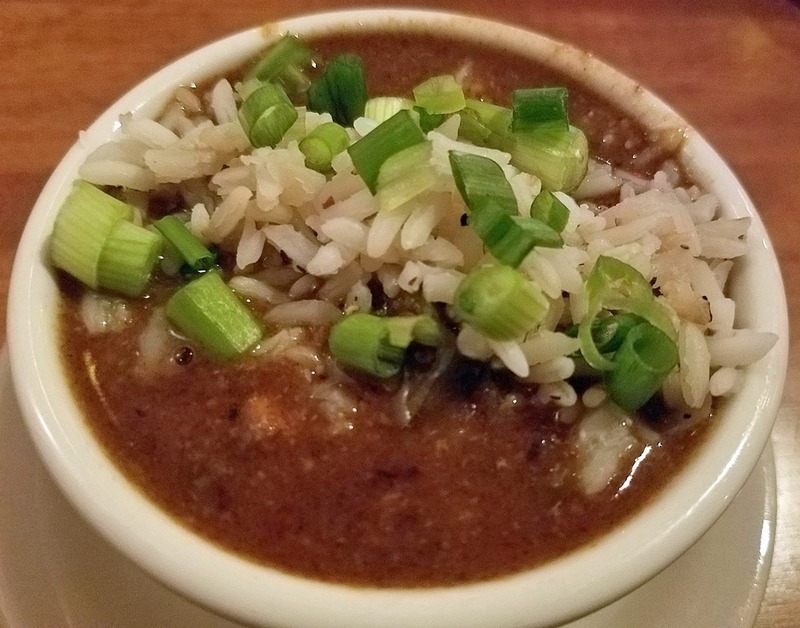 My wife had the Maxie’s Mighty-Mighty Gumbo with Chicken, Andouille, Crawfish, and Rice. 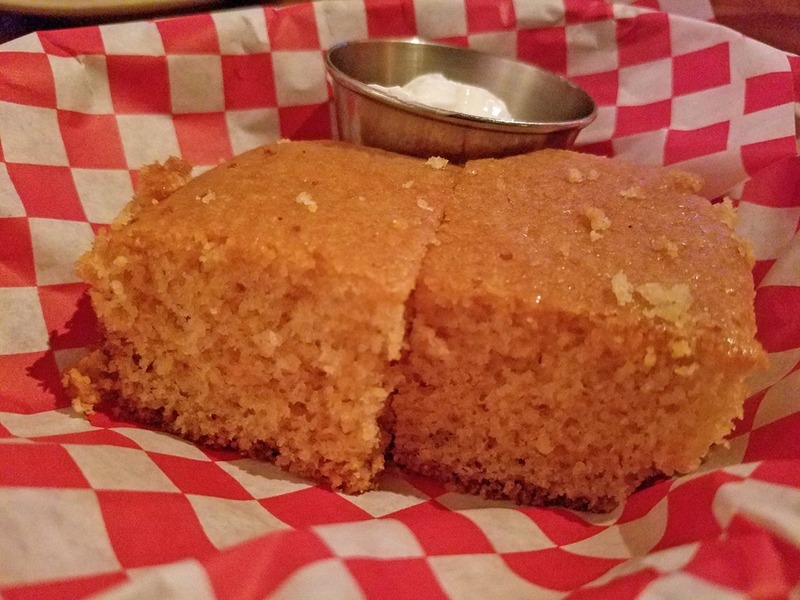 The cornbread was like grandma made, perfect. 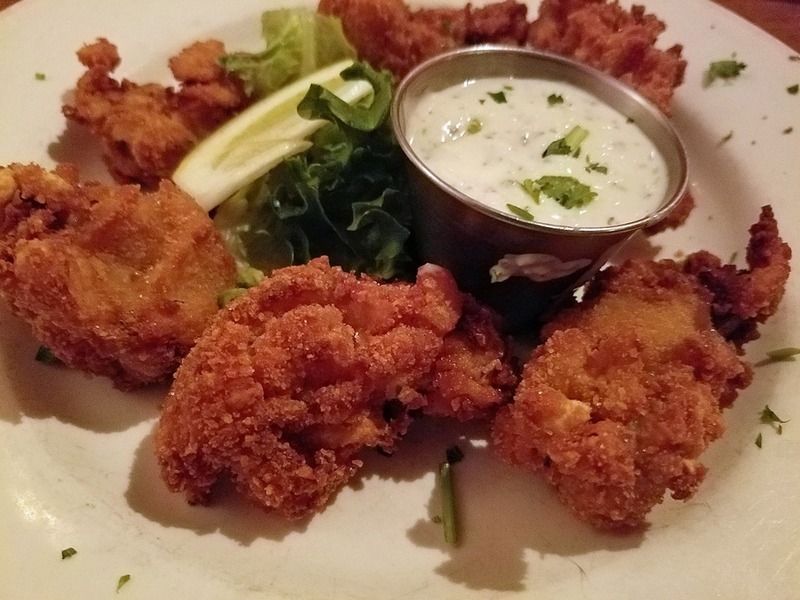 For her entrée my wife chose the Cracker-Crusted Oysters and loved them. 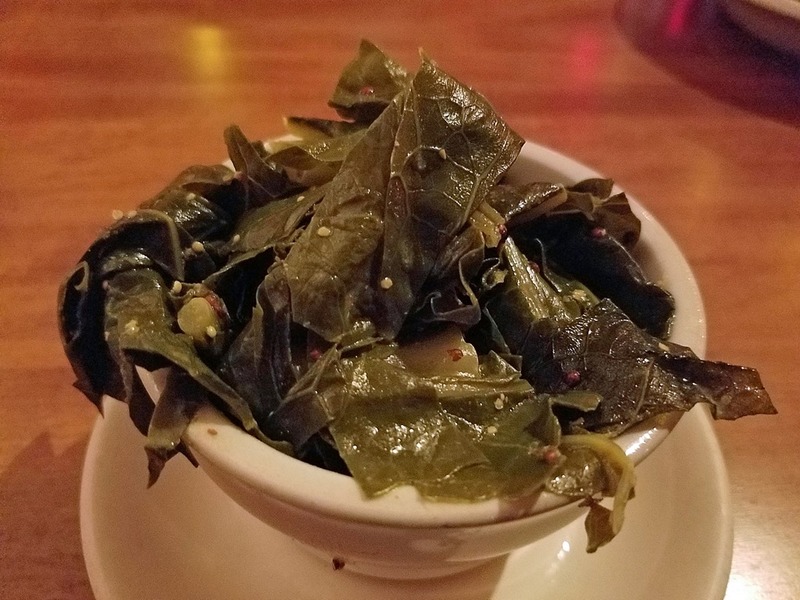 My wife added Braised Collard Greens as a side. She said they were the best she has had. 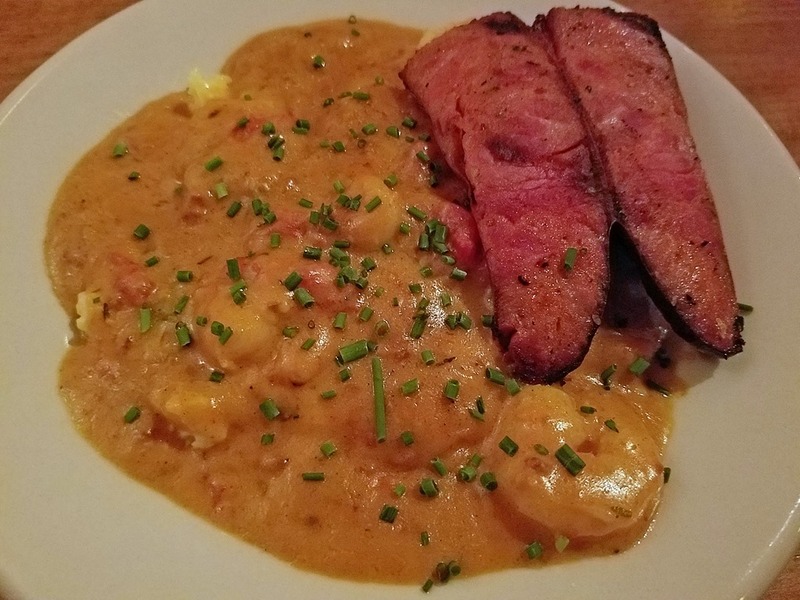 I ordered the Shrimp & Grits with a Grilled Andouille Sausage.The grits were smooth and creamy with shrimp cooked perfectly. The Andouille had a great spicy flavor. This is the best Cajun food I have had and probably the finest Cajun food found outside of New Orleans. Service was great and the noise level was low on the Thursday night we were there. They have 30 minute call ahead in place of reservations and some covered outside seating. They have live entertainment often and a vibrant bar scene.